Your new replacement mattress has been working out well on your sofa or in your RV and boat, giving you a plush area to lay down after a long day. Both home mattresses, but especially marine and camper mattress models are often subjected to more wear and stains. From camping to boating, mattresses may accumulate stains, wet areas and a general musty scent. Follow a few key steps to keep your bed fresh as a daisy. Start cleaning your couch mattress or RV and boat mattress by vacuuming it out. Flip the mattress over to access all crevices. You want to remove any dirt or skin cell debris that builds up over time. Place the replacement mattress back down on the bed. Sprinkle baking soda across the mattress, creating a fine film. Allow the powder to remain on the bed for at least 15 to 20 minutes. It’s natural absorptive power removes both hidden dirt and wet areas. Vacuum the baking soda away, effectively refreshing your mattress. For unsightly stains, you can try to remove them with mild soap and water. Using a bucket, or small container, mix a low concentration of soap to water. Wet a rag with the soapy solution, and carefully dab the stain. Continue to dab the area until the stain begins to release. Allow the sofa mattress, boat or RV mattress to air out afterward to avoid mildew or mold issues. Use baking soda on the area to release the moisture faster for thorough drying. If you have several stains dotting the replacement mattress made out of foam, consider renting or buying a handheld steamer. These machines allow you to press down on the stain, using hot water and pressure to remove problematic spots. Follow manufacturer’s directions closely to avoid damaging the mattress. Steam is incredibly hot and can damage items if left on for too long. 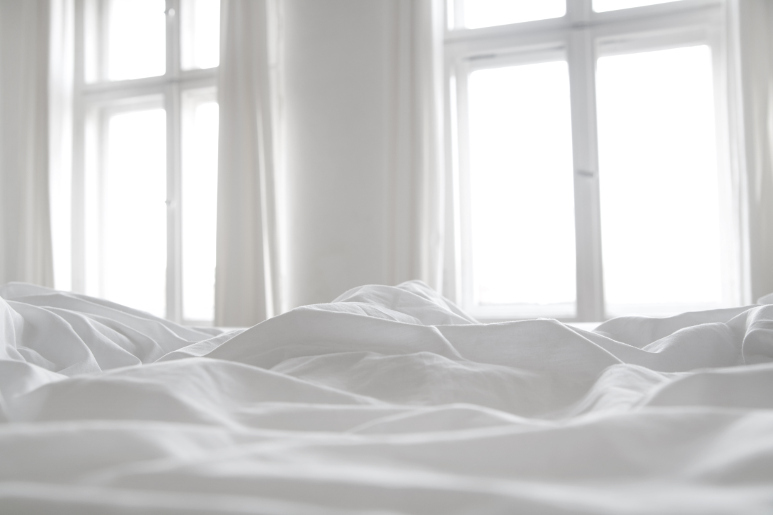 It is critical to keep a cotton mattress pad on your mattress to avoid excessive stains. The pad must be cleaned as well. Dust mites enjoy the pad’s hidden crevices. Place the pad in the washer at a hot temperature to eliminate dust mites and remove some stains. Maintaining a clean pad and mattress keeps you and your family healthy. Whether you are camping or boating, or just hanging out at home on the sofa, take time out of every week to air your mattress out. Pull it from the bedroom area and hang it outside. Open doors to the bedroom to allow musty and dusty smells to emanate out of the space. By allowing air to circulate around the bedding, you reduce dust accumulation, making your bed a haven from daily travels. So in conclusion, keep your mattress in top shape with periodic cleaning and airing out. Avoid mattress damage by using a pad at all times. With proper care, your mattress should last for years!